With Pune being the melting pot of cosmopolitan population and foreigners, the hospitality management Services in Pune have risen in importance. Enter Phadnis Group and its hospitality vertical and we have the best of hospitality related services in Pune and other parts of Maharashtra. Phadnis Group has been a leading brand in hospitality, infrastructure and real estate from 2003, when it was established. The group has been excelling in this challenging and unstable, yet extremely rewarding industry for more than a decade now. Phadnis Group’s stint in hospitality has been extremely impressive so far. However, this is just the beginning of a scintillating and glorious path ahead. All of its hospitality ventures so far have turned out to be benchmarks - Sahil Sarovar Portico in Lonavala & Radisson Blu Resort & Spa in Alibaug. Both are excellent in their own measure. For Radisson Blu Resort and Spa, there cannot be any location better than the exquisite and beautiful Alibaug. A tranquil sojourn involving 16 acres of manicured landscaping and interspersed water bodies, an international style Mandara Spa, a lush putting green for golfers and many more impeccably luxurious features awaits the holiday goers here. The whole effect gets even better thanks to the beautiful beaches and forts nearby! Likewise, Sahil Sarovar Portico in Lonavala has rustic and alluring backdrop of Sahyadri mountain range which lures vacationers here. Sahil Sarovar boasts of an exclusive spa with customized treatments, 23 chic and rooms, 2 well-equipped conference halls, a multi-cuisine restaurant and a swimming pool. Whether it is for pleasure or business, it is a perfect choice to get rejuvenated. Further, RIMC Sahil Hospitality India Pvt. Ltd, a unique hospitality management and consulting company has to be mentioned here. RIMC Sahil Hospitality India Pvt. Ltd is a collaboration of Phadnis Group and RIMC International, a renowned name globally in hotel management and consulting based in Germany. This is a separate hotel management operating company which partners with new or existing hotel, resorts and service apartments for management and operations in the Indian subcontinent under different franchise brands. With such an accomplished record of hospitality ventures, hospitality management services in Pune are just a walk in the park! Buying real estate properties in Pune are something like a dream job for which a lot of contenders are leaving no stone unturned, but hardly a few of them eventually manage to get it. Lot of people in Pune are looking for a reasonably good property, but out of them only a handful has the resources and courage to actually buy it. Enter Phadnis Group's real estate vertical Phadnis Properties Ltd and hopefully, this ratio will change - of the aspiring buyers and those who actually buy. Phadnis Properties Ltd is best known for its premium properties and its endeavour to give address to a million dreams. Phadnis Properties has its goal set on delivering value services at optimum prices and to provide 'home' for a buyer and not a house. The extra zing in the properties by Phadnis Properties Ltd can be seen as a result of in depth and thorough understanding of this dynamic industry by the team at Phadnis Properties Ltd. The company has come a long way in the past decade and now is all set to jazz up and improve urban infrastructure in the city. Real estate properties in Pune are just the commencement of a fantastic journey for the Phadnis Group ahead. Picture this. You have to meet your friend over a cuppa tea and you are late. The moment you settle down, the infrastructure development in Pune becomes the target of your wrath. Roads, traffic, town planning and the works. You don’t spare a thing. Fortunately, in the time to come, we the people will not get a chance to do this to a lot. The reason is Phadnis Infrastructure, the infrastructure vertical of Phadnis Group, renowned business group in Pune. For more than a decade now, since 2003, the saga of Phadnis Group and Phadnis Infrastructure Ltd has been enriched by dazzling growth. This growth has been the fruit of the toil of the team at Phadnis Infrastructure Ltd (PIL) since 2003. That has helped the company evolve into a contemporary, new age infrastructure company. In the time to come, the company because of its diversification and indepth knowledge of the industry is on the threshold of contributing in a greater degree to the process of building India, equipped with cutting edge, world class infrastructure. For its brilliant work Phadnis Group has been awarded with ISO 9001, ISO 14000 and OHSAS 18001 certificates. 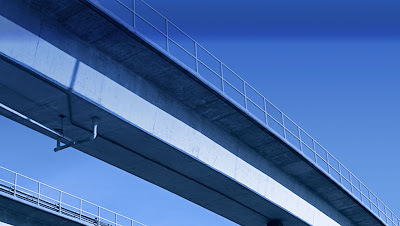 PIL is all geared to execute some of the most prestigious infrastructure projects in India. These projects involve a range – right from airports, ancillaries to waste management, water supply projects to roads and bridges. Joint Venture with Prasad & Co - National Highway Division project of construction of bypass outside Sangamner town. After establishing itself firmly, PIL now has its target set on exploring opportunities in infrastructure development overseas. With so many avenues open for this flourishing group and with so many milestones to conquer, infrastructure development in Pune is all in a day’s work!